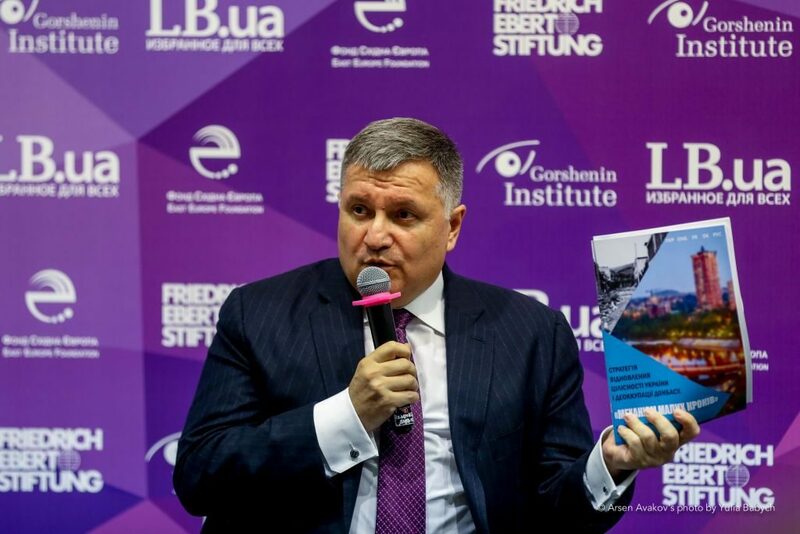 Restoring the sovereignty and territorial integrity of the country, de-occupation,and reintegration of the temporarily occupied territories is a key strategic task facing Ukraine. Today, there is the only current platform for looking for the format of the solution: it is the Minsk Agreement, signed on September 5, 2014, with the participation of international mediators. This document, aimed at de-escalation of the armed conflict caused by military aggression by the Russian Federation, undoubtedly played an exceptionally important role at that time. The process of negotiations in the Normandy format and the agreements reached helped to move the Ukrainian-Russian confrontation from the battlefield to the political and diplomatic level and create the basis for further legal settlement of the conflict. Ukraine bears the brunt of this undeclared war. According to the Ministry of Internal Affairs, the 8th Army of the Southern Military District of the Russian Federation is located now in the temporarily uncontrolled territories of Lugansk and Donetsk regions under the guise of the paramilitary groups of the DNR and the LNR. It is the so-called Donetsk and Lugansk Second Military Corps.It consists of regular military servicemen of the Russian Federation, mercenaries,and some local population. The military personnel of these forces in the occupied territory amounts to 35 thousand. In their arsenal: 478 tanks, 848 armored cars, 750 artillery systems and mortars, 208 long-range rocket systems, 363 anti-tank weapons, 419 air defense weapons.The DNP/LNR army has more tanks than the UK army! And the separatists did not buy all this weapon in the “Voentorg” (Military goods) store, seized in Donetsk, but it was relocated from the Russian side of the state border. This is the real state of affairs four years after the Minsk talks in the Normandy format. Today, the “Minsk Protocol” has largely exhausted its potential and does not meet the current challenges. The mechanisms envisaged by him, unfortunately, did not allow to solve the most important tasks of restoring the territorial integrity of Ukraine, de-occupation, end of military conflict and loss of life. Moreover, the “Minsk agreements” are outside the legal framework of Ukraine and in the current format cannot be ratified by the Parliament of Ukraine. At the same time, they are used by the Russian Federation for political speculation at the international level. The key drawback of the “Minsk format” is also the lack of a holistic view of the resolution of the conflict. Obviously,the time has come to work out a new, more effective strategy for resolving the armed conflict as well as a detailed plan for a phased restoration of Ukraine’s sovereignty and territorial integrity. We propose a strategy of de-occupation and reintegration of the occupied territories of Donbasson the basis of the “SMALL STEPS” MECHANISM. The adoption of the Amnesty Law, which will affect the majority of people living in the occupied territory and involved in the conflict. Amnesty will not cover only those persons who have committed grave offenses or war crimes. Amnesty will not cover those persons who have “blood on their hands”. As to these persons, criminal proceedings must be opened, and the measure of their guilt will be determined by the Ukrainian Law. The adoption of the Law on Collaborators. It should be officially stated that legally every citizen of Ukraine is endowed with all civil rights under the Constitution of Ukraine. And then, using the mechanism prescribed in this Law, it will be necessary to determine the status of each citizen: whether he/she is a victim of the occupation regime (the majority); or a participant, who by virtue of circumstances cooperated with the occupation regime; or a criminal who killed our soldiers and participated in repressions against civilians. Accordingly, the Law should determine the degree of public response to the relevant status of each person. This is a very complex issue, which touches on the level of the society’s readiness for compromise, but it must be solved. These laws will lay the foundation for the overwhelming majority of the population of the temporarily occupied territories to return legitimately to the Ukrainian legal framework, to obtain civil rights and access to state services. Only after that, it will be possible to hold elections in these territories. Communication strategy is extremely important to explain people within Ukraine our plans!It is necessary to achieve people’s understanding and to get support from the civil society of Ukraine, since only the consolidation of the entire Ukrainian people and the transparency of all processes will allow the program to be fully implemented, including unpopular but necessary measures. The introduction of an international peacekeeping mission. Determination of the status and procedures of involvement of international regulatory forces, the program of international monitoring, consultative and resource assistance. A separate area (district) of the occupied territories of Donbass is chosen and agreed upon,and the opposing military formations at this area are withdrawn behind the agreed line; thus, a demilitarized security zone is created. For the simultaneous de-occupation and reintegration of all temporarily occupied territory of the Donbass, it will be necessary to find and enter in Ukraine from 20 to 40 thousand peacekeepers. Since it is impossible, it is proposed to start from a separate city or district (for example, Gorlovka and/or Novoazovsky district). A special international peacekeeping mission and the State Border Guard Service of Ukraine take control of the specified area of the territory and its borders. 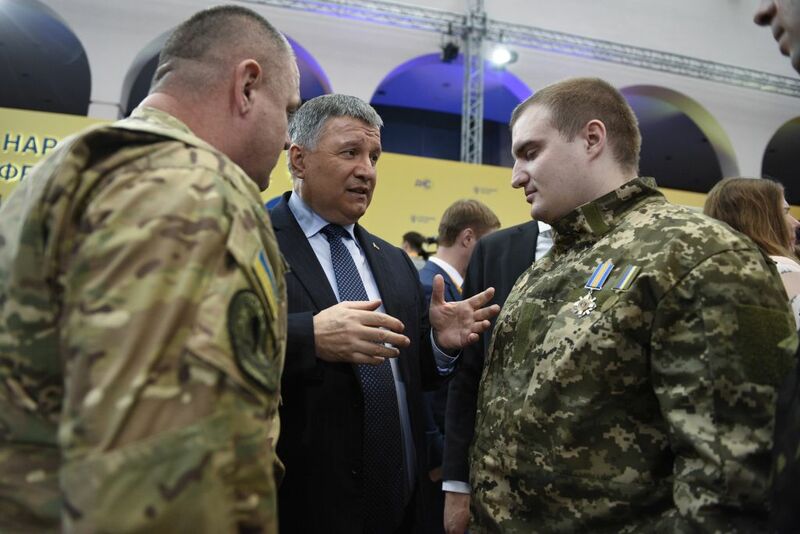 – In the rest of the territory,law and orderare provided by the National Police and the National Guard of Ukraine together with the “blue helmets”. At the very first stage, it is possible to involve also volunteers from among the local population, representing local village and settlement councils. Within the liberated territory, the Ukrainian judicial authorities prepare the necessary elements of the electoral process for subsequent local elections by Ukrainian legislation. 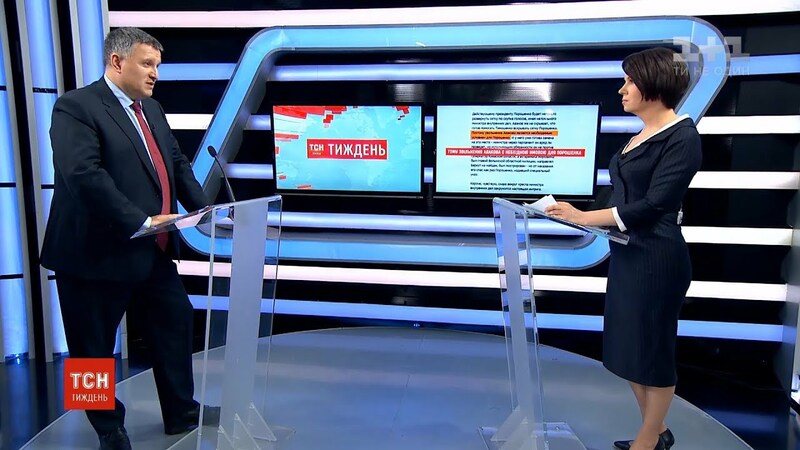 It is not important who wins this election; it is fundamentally important that the process is conductedin accordance with Ukrainian legislation with guarantees of free will. Even if they choose a candidate with frankly pro-Russian views, in the strategic perspective, after the conflict resolution processes are completed, this issue will be balanced in the coming years. On the territory of the reintegrated area, the work of all state institutions and law enforcement bodies of Ukraine is being restored. It is essential to form a transitional administration, which will observe the Ukrainian legislation and will start to work with central government bodies within the framework of reintegration and rehabilitation procedures. The process of reintegration is beginning. First of all, it is necessary to improve the quality of life of citizens in the de-occupied territory (health care, education, pensions and other types of social welfare, financial and banking sphere, job creation, employment of the population). The procedure of humanitarian demining of the previously occupied territory is being carried out. The zone of military hostilities in the Donbass and the area around it is one of the most polluted by mines and explosive remnants of war regions in the world. According to the UN, about 700,000 hectares of Ukrainian territory is mined. Immediate work is being carried out to eliminate technogenic and environmental threats. The area of combat operations is always becoming a zone of ecological disaster due to the destruction of soils, local flora and fauna, and contamination of the territory. When it comes to the Donbass, one should additionally take into account the specifics of the region, in which there are numerous mines, enterprises (including chemical ones), and 1,200 sources of ionizing radiation. All of them constitute a threat of pollution of sources of drinking water, epidemics, emissions and explosions of methane and other harmful substances. Ecological catastrophe of Ukraine will be an ecological disaster for the whole of Europe! (Annex 1). An urgent program is launched to check and restore Ukrainian documents for all people who had lived during these years in the occupied territory. There must be a special mechanism for a very thorough check of these people to ensure that Ukrainian passports are issued exclusively to Ukrainian citizens. The process of restoring the social and economic infrastructure is beginning: roads, bridges, institutions, enterprises. According to various estimates, it will take at least ten years and US$ 20 to 30 billion to restore the region’s social and economic stability. of conflict prevention, management, and resolution and how to respond to those challenges. 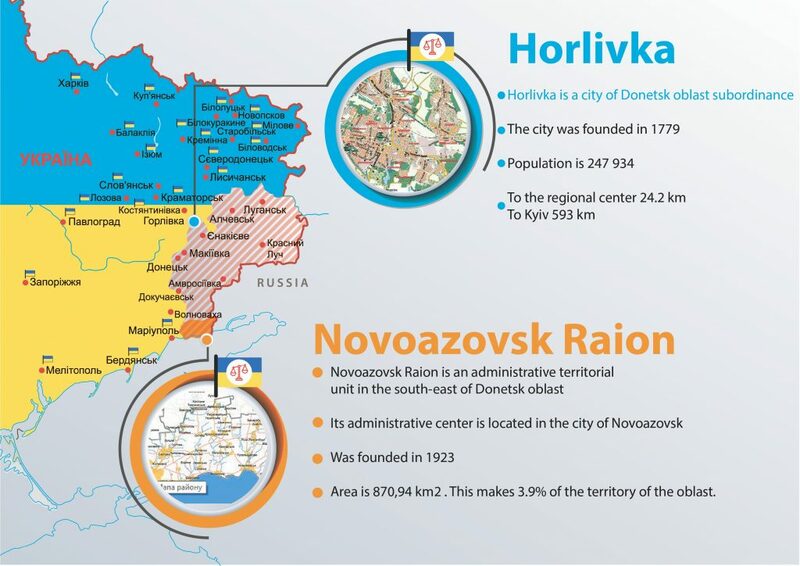 possibly, the creation of free economic zones for the restoration of the economy of Donbass. the creation of a special reserve fund with the participation of international organizations. Work is being carried out to return involuntarily displaced persons,i.e., to foster internal migration of the population to areas abandoned due to hostilities. It should be taken into account that the return to Donbass of people who have lived for several years not covered by the toxic Russian propaganda will help restore the confidence of the local population to the Ukrainian authorities and facilitate reintegration to some extent. The participation of citizens residing in the previously occupied territories in elections to the central authorities of Ukraine is resumed, but not earlier than in three-five years. Elections can only be conducted in the demilitarized territory. They cannot take place in the absence of a sufficiently secure environment and capable institutions. A hasty holding of elections can contribute to the strengthening and resumption of the conflict with a new force. For example in Angola in 1992 the victory of one side in the elections with a margin of 1-2% triggered a new conflict and led to a new civil war. The war ended only in the early 2000’s. Elections can be held when the state borders are under state full control or control of international observers. Otherwise, there are no security guarantees on the voting day. In Croatia, Bosnia, Kosovo,and Liberia, elections took place after the establishment of effective control over the border crossing (two-five years after the end of conflict). In the case of Bosnia, the OSCE, under pressure from Western governments, sanctioned the conduct of the elections, ignoring the absence of some conditions for democratic voting. As a consequence, after the national elections, the leading positions were won by people with little interest in the full implementation of the peace agreement. The most appropriate time interval between the ceasefire and the conduct of elections isthree years. If elections are held less than two years after the ceasefire in the case of young democracies, and in less than one year – in the case of developed democracies, this leads to the resumption of armed confrontation. Such period is necessary to ensure the conditions for an honest and free expression of will and the formation of a moderate local political force capable of counterbalancing the radicals. Also, this time is necessary to return refugees and internally displaced persons to previously occupied territories. It is impossible to deprive the refugees and temporarily displaced persons their right to participate in the elections! We need to give them the opportunity to return and settle in places of their previous residence! Changing the electoral legislation requires at least one year to familiarize all participants in the electoral process (commissions, parties, voters, etc.) with the new rules and arrange their work. Conducting national elections to the Verkhovna Rada in the previously occupied territory before disarmament, demilitarization, restoration of control over the border, proper legislative and institutional provision of elections will not lead to a solution to the conflict. The results of such elections will not be recognized by the majority of the conflict parties and, therefore, the entire process will be doomed to failure. As a result of the implementation of the Plan, the systemic work of the authorities is restored on the liberated territory, the quality of life of people is improved, security and law and order are ensured, and all livelihoods processes are normalized.A normal peaceful life returns to the war-torn cities and villages. Further the project is scaled to the neighboring districts.Moreover, each next stage of de-occupation and reintegration will be easier, because residents of liberated cities and villages will become “agents of influence”, an example and a model for their neighbors. Thus, it can be expected that the phased process of de-occupation and reintegration will proceed with increasing intensity and will be more efficient and less resource-intensive than a one-stage operation in the entire temporarily occupied territory of Ukraine. minimization of environmental risks and prevention of man-made technological disasters. guaranteed restoration of infrastructure and economy. will get rid of the need to support another enclave of separatism whose population exceeds the total population of Transdniestria, Abkhazia,and South Ossetia. – On the territory of the Donbass, more than 1,200 sources of ionizing radiation are located at 65 sites. According to experts, there is a real radiation threat due to hostilities and uncontrolled exploitation and maintenance of sources of ionizing radiation. Battle actions violated the integrity of the radioactive waste storage facilities at the Donetsk chemical plant and “Donetsk Specialized Works”. – “Stirol” concern is also a potentially dangerous enterprise. In May 2014 “Stirol” management announced that the production of ammonia, its derivatives,and other products at the enterprise was suspended due to the tense situation in the region and the company’s desire to “exclude all risks for employees and residents of the region”. However, underground storage tanks for chemical waste from the plant activity (and not just production of ammonia) are still there.It is a large enterprise located on the huge territory, which lies just on the line of demarcation. In case of damaging of ammonia storage tanks or pipelines by any objects (shell splinter), the soil, groundwater, atmosphere (through evaporation), etc., will be contaminated, which can harm the ecology of not only the surrounding territories but all of Ukraine, as well as other neighboring states. – The threat associated with the flooding of mines. As a result of the shutdown of pumps and the entry of groundwater into the mines, some of them were flooded. According to experts if the water comes to the surface, the radiation level will exceed the permissible limit by a thousand times. Also, the mine waters are highly mineralized and polluted with harmful substances. If the pumping out of poisonous mine water will not start urgently, it can mix with fresh groundwater and get into the rivers. Another danger is that mine water presses out methane, which accumulates in cellars and on the ground floors of houses. A single spark is enough to cause a powerful explosion. There were incidents when the whole buildings sank in the hollows formed by mine workings,and it was not at all rare.It cannotbe excluded that such incident will happen with an object of critical infrastructure. There is also information that militants used abandoned mine as mass graves. With the thawing of snow or the release of groundwater, it can result in epidemics of hepatitis and other infectious diseases. – In the vicinity of Novgorodskoe village, there is a storehouse of chemical waste from the phenol plant. It is located between the positions of the Ukrainian army and militants, which are 400 meters from each other. Deputy Head of the OSCE special monitoring mission in Ukraine A. Hug stressed that in this area it is necessary to establish a ceasefire and to disengage the parties to the conflict. – In the area between Avdeevka and Yasinovataya is located a Donetsk filtration plant (DFP) that provides water supply to settlements located on both sides of the line of contact. During the armed conflict, the DFP had repeatedly been exposed to crossfire which resulted in interruptions of its work and the supply of water to the nearby cities and villages. According to experts, the continuation of hostilities near the DFP can provoke an ecological catastrophe.